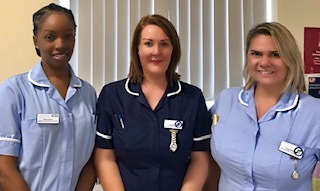 The Homeless Patient Pathway is a small team of three consisting of a Lead Nurse, Helen Taylor and two Housing Navigators, Louise Edwards and Alycia Deacon. The main aim of the pathway is to ensure safer discharges from hospital for homeless or vulnerably housed patients into appropriate accommodation. The team also improve the patient journey, maximise service referrals and access to health care, as well as help to reduce hospital re-admission rates. Once patients have been referred to the team they will respond to the ward by completing a Health and Social Care assessment with the patient during admission. The team then work closely with housing providers to secure appropriate accommodation and ensure a safe discharge plan. The Homeless team can track the patient journey into the community by completing a home visit where necessary to ensure that patients are engaging with the relevant services and sustaining their tenancy. They can identify and assist to register with a local GP and ensure they have adequate prescribed medications. Registering with a GP can be a lengthy process specifically for homeless patients who often do not have any ID therefore the lead nurse can provide patients with vital interim prescriptions if required as a bridging gap between secondary and primary care which aims to reduce the readmission rates. The Homeless Team receive a donation from the Birmingham Vineyard Church. 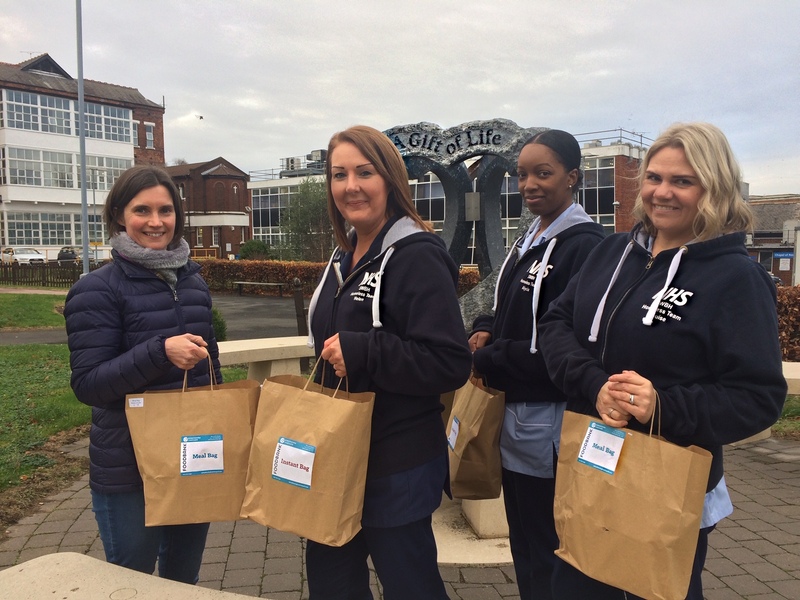 In addition to this the team also provide food, toiletries and clothing to patients on discharge and all of their donations come from the generosity of staff at the Trust and the Birmingham Vineyard Church who all continue to support this worthwhile and much needed service. Rough Sleepers Team: 07483 981912. Streetlink: 0300 5000914 (until 11pm). Follow us on Facebook by searching for the ‘SWBH Homeless Team’.